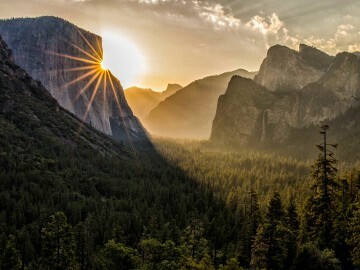 The Best Year Ever to Catch Yosemite Waterfalls and Whitewater? California’s northern Sierra Nevada has officially surpassed its all-time wettest “water year” on record. As of April 13, 2017, the California Department of Natural Resources reported the region had received 89.7 inches of water. The previous record of 88.5 inches was set in 1982-1983. All this water comes just two short years after California was severely drought stricken and experienced its worst statewide snowpack in 500 years. 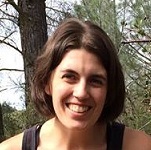 This year, however, SNOTEL data as of mid-April shows the statewide snowpack is 178% of normal, with some areas in the Sierra measuring at more than 200% of normal. So what does all this water mean for outdoor enthusiasts? A longer and more spectacular season for waterfalls and whitewater rafting this year. Yosemite is home to more than 20 named waterfalls, many of which are easily accessible to visitors from Yosemite Valley. And during significant water years, it’s not unusual to see water cascading off of the park’s massive granite walls in just about every direction you look. 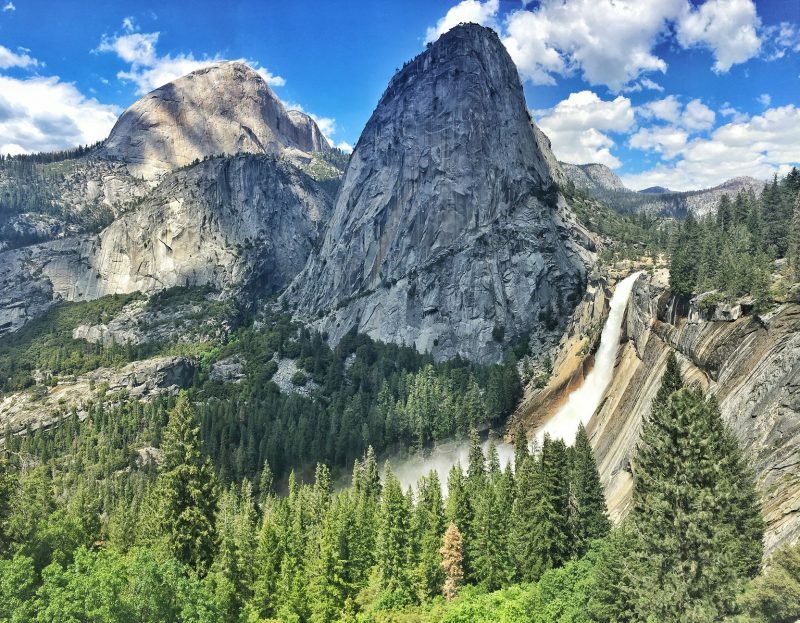 The best time of year to catch Yosemite’s waterfalls in all of their glory is typically May and June during peak snowmelt before many become a trickle, or in some cases, run completely dry. This year because of all of the snow, however, park officials report that the waterfalls are already starting to roar. Visitors will likely find Yosemite’s waterfalls flowing well into the summer months with more consistent flows than normal. When you’re in the heart of the park, it’s hard to miss Yosemite Falls, which looms 2,425-feet above the valley floor and is considered one of the world’s tallest waterfalls. To get up-close-and-personal with it, you can make the easy .5-mile jaunt to the base of Lower Yosemite Falls, but you definitely won’t be alone. 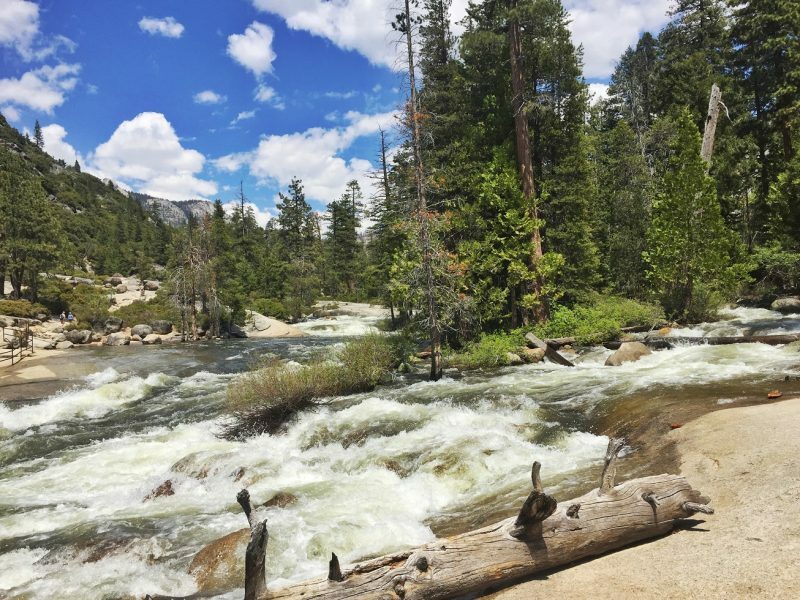 For the more adventurous, consider the challenging 7.2-mile hike to the top of the falls where you’ll experience the full force of Yosemite Creek as it cascades from the top and will most certainly spray you as you near the top. 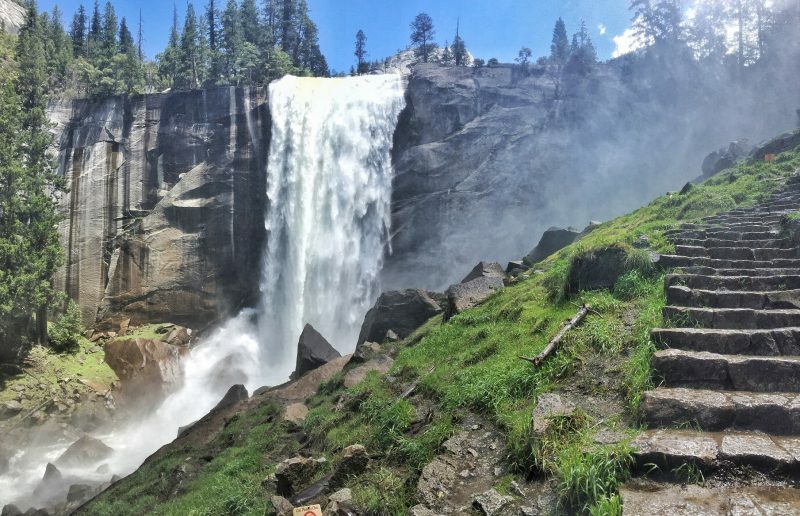 Another favorite waterfall hike in Yosemite is the two-for-one Vernal Fall and Nevada Fall loop hike. Combine the Mist Trail and John Muir Trail for 6.5 miles of breathtaking scenery in every direction, plus spectacular access to two of the park’s iconic waterfalls. The Mist Trail gets its name for a reason, so dress accordingly, since big runoff and spray from Vernal Fall will completely soak you. If road conditions allow, you can get a great birds-eye view of many of the valley’s waterfalls via Glacier Point. Or, opt to hike to the top of Sentinel Dome and see how many falls you can spot as you enjoy the 360-degree view of the park. Of course, some of the park’s waterfalls are a bit more off-the-beaten path, like 690-foot Chilnualna Falls in the southern part of Yosemite near Wawona. If you make the strenuous 8.4-mile roundtrip hike, you’ll actually be rewarded with three waterfalls, and very few people. 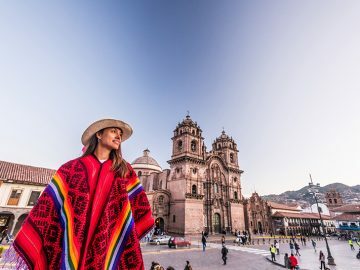 Where there are waterfalls, there are rivers. And where there are rivers, there’s whitewater. But wait, is there whitewater rafting in Yosemite? Technically speaking, no. 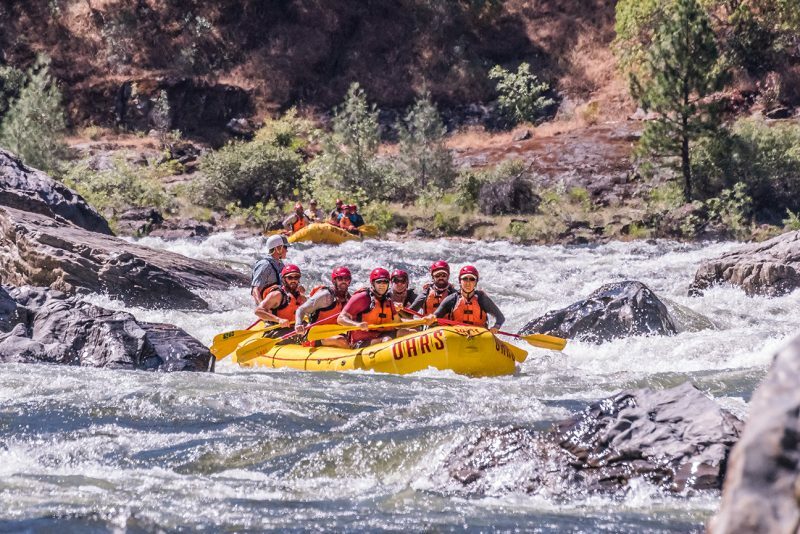 But flowing directly from the high elevations of the park, you can find world-class whitewater rafting on both the Merced and Tuolumne Rivers just beyond park boundaries. 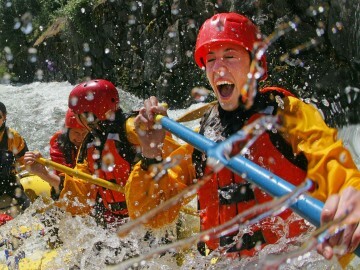 A 1-day Merced River rafting trip is an ideal addition to any Yosemite itinerary. 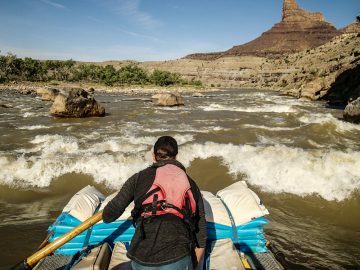 During peak flows, which should last through June this year, the Merced turns into a classic big-water trip with Grand Canyon-sized wave trains. The rest of the season, likely into August this year, this Wild & Scenic River turns into a more moderate trip full of fun, rollicking Class III-IV rapids. If you can, snag a spot at the Yosemite Bug along Hwy 140, one of the main entrance roads into the park, and you’ll be in prime position for your Yosemite adventure. 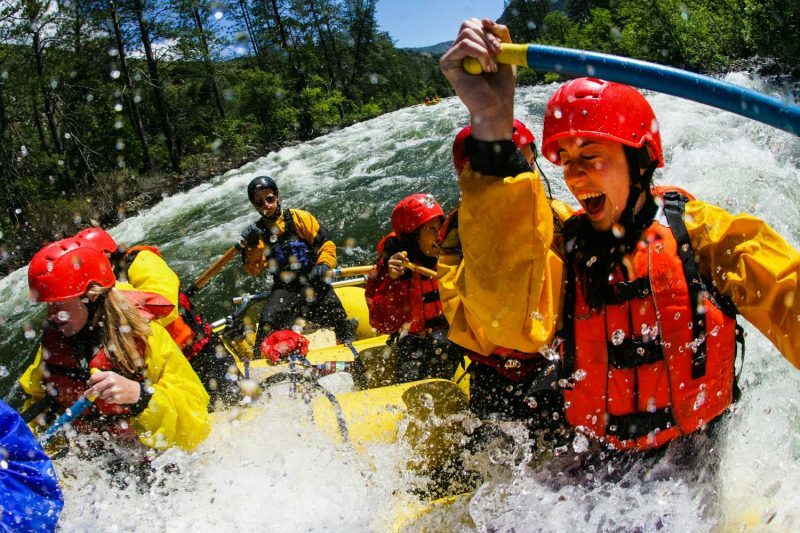 For more of a Yosemite wilderness experience, consider the Wild & Scenic Tuolumne River, which is considered the premier whitewater rafting trip in California. 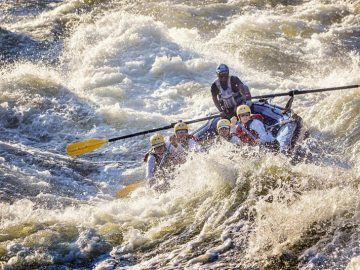 A favorite among river runners, it features rugged canyon scenery, crystalline waters and 18 miles of non-stop, thundering Class III-IV rapids. This year, with a larger snow pack than usual, outfitters are preparing for varying water levels throughout the season which can create exciting high-water conditions, but are not for the faint of heart. 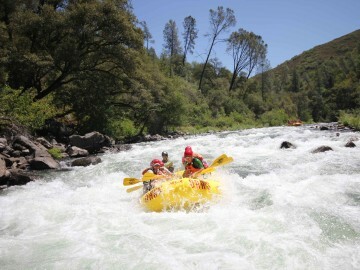 One-, two-, and three-day Tuolumne River rafting trips are offered by four permitted outfitters April through September. Only two launches are authorized per day, which means exceptional solitude is guaranteed on this world-class rafting trip in Yosemite’s backyard.